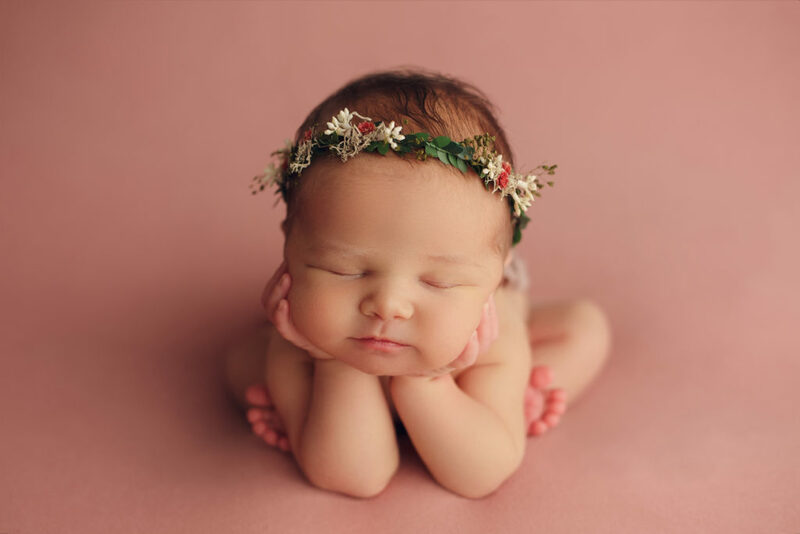 Having a newborn is amazing, but oh so challenging. I’ve recently had our 4th baby, and though it does get easier each time, those initial months can be a struggle. However, with each addition to our family, I picked up more and more new mom survival tips, making that tough time easier. So if you’re a brand new mom, new mom again or expecting, read on because these new mom survival tips and tricks are just for you. And for any friends or family of new moms, see my note at the bottom for ways you can help. 1. Accept help. Just because you can do it all, doesn’t mean you have to. Having a newborn is exhausting and if someone offers to help, take them up on it. 2. Ask for help. No one is a mind reader and sometimes people aren’t good at anticipating what others need. However, if you vocalize to another that you could use help in some way, generally they will jump right in. 3. 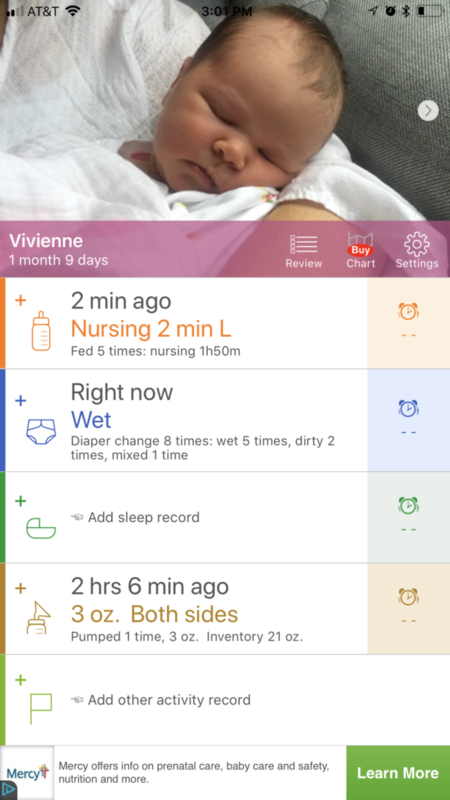 Use a newborn tracking app. In the beginning, it’s important to keep track of how much and often a baby eats, what side you last nursed on and how many wet and dirty diapers you changed. An app will make things easier for you. I really liked the Baby Tracker app. 4. Don’t check in at work. That could add stress and they will manage while you’re out. And if they are struggling without you, consider it job security. 5. Take at least one nap a day. One of the toughest things about having a newborn is the sleep deprivation. Lack of sleep can make you delirious and leave you walking around like you are in a fog. So getting at least one nap will help. 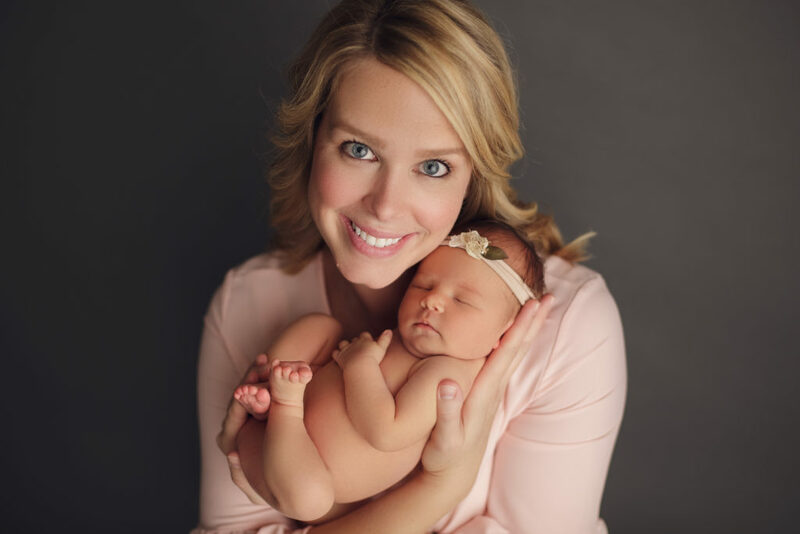 I love to nap with my little one snuggled on my chest, but if you are not comfortable with that, once your baby is good and asleep, put them in their bassinet and get some shut eye. You will feel so much better. 6. Pretreat those poo stains. Seriously…why is a newborn’s yellow poop so hard to get out? And why do they always have an explosion while they’re wearing your favorite outfit? I find it best to rinse the poo off as best you can, then pretreat using Shout. I let the Shout sit on the garment for at least 15 minutes before washing. 7. Set up multiple baby changing stations. Have a baby changing caddy in the areas you spend the most time with your baby. This is one of those “Work Smarter, Not Harder” tips. There is no reason to run to another room looking for a diaper. 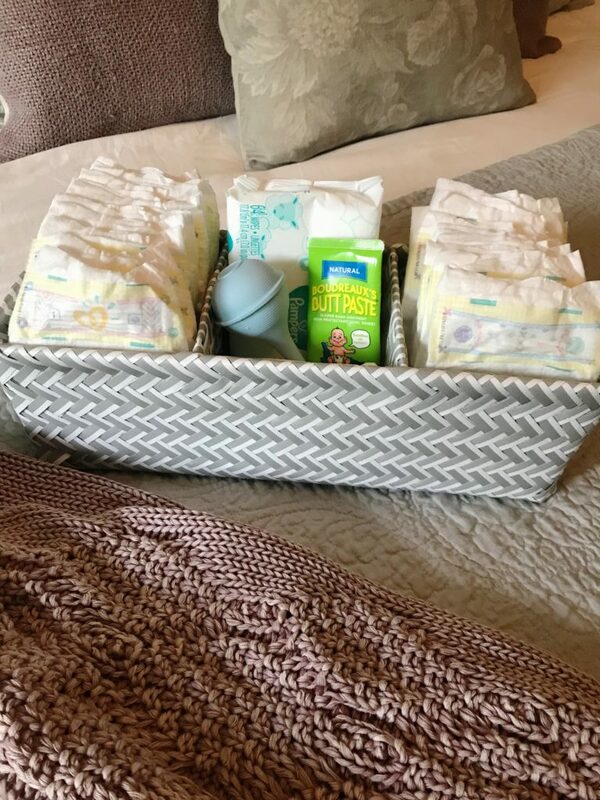 Our babies always sleep in our room for their first few months, so we keep a basket with diaper changing supplies in our room and also one in the living room. This basket is from Target. 8. Make friends with dry shampoo. 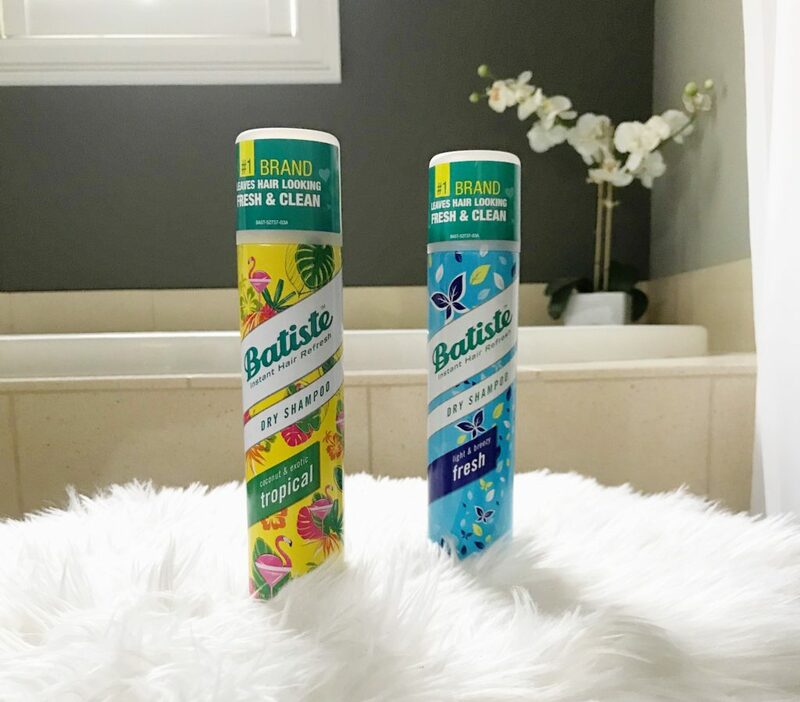 Finding time to wash your hair when you have a newborn is a struggle, so revive your hairstyle from yesterday (or from four days ago) with this miracle product. I love this brand. Make sure to get the brunette option if you have dark hair. 9. Don’t be productive. As someone who values productivity, this one was a struggle for me. With my first born I felt like I could never get anything done as taking care of a newborn is so consuming and he only seemed to sleep if he was being held. So I spent a lot of time trying to rush him to sleep in the hopes that I could set him down and get some stuff done. If I could successfully set him down and he stayed asleep, I would literally run to do the dishes, switch over the laundry and pick up before he woke. But why? In all reality, where did that get me? I realized I was so worried about having a tidy house and accomplishing some tasks, that I was sacrificing that special time with my baby. The only thing I needed to accomplish was being his loving mama. So I decided to slow down and soak up that precious little bundle that I had waited so long for. The house will survive being messy through the newborn stage. Your To Do list can wait. Let it go and enjoy that baby. 10. Get out of the house. Do you know what newborns are great at? Shopping. They (most of the time) enjoy car rides and LOVE Target. (Maybe it’s not the store as much as being pushed around in carts.) They also love fresh air and walks. Either way, get out of the house with them. Feed them, change them and then head out. It is good for your mama soul to get away from home for a bit and rejoin the world. 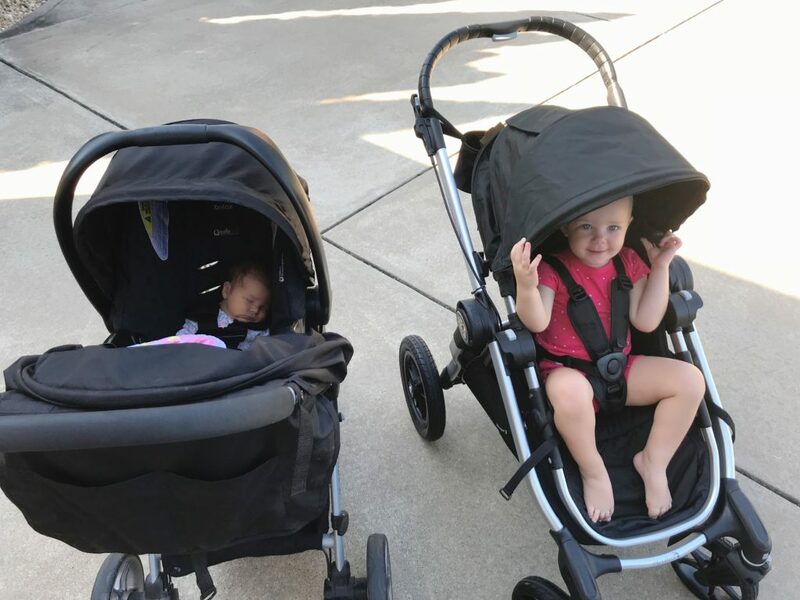 Here my mom and I were taking the girls for baby’s first walk. 11. Don’t worry about your wobbly bits. Seriously ladies, don’t get down about your flub. Take it easy on yourself. You just put your body through a lot and there is no rush to get the weight off. 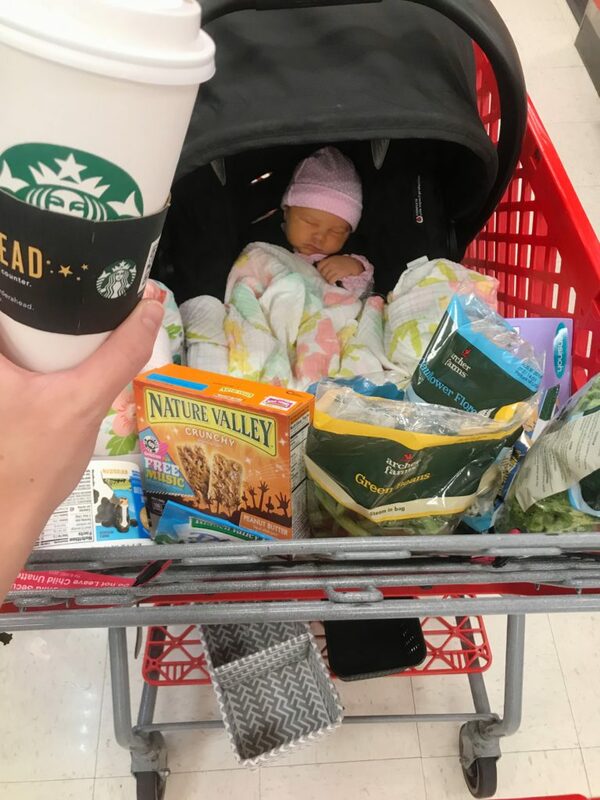 Sure you should eat healthy and (only if you feel up to it) take your baby on a stroll around the neighborhood. But please don’t stress about the extra pounds. I’m 8 weeks postpartum with baby number 4. I recently packed up all of my maternity tops and dresses and gave them to my cousin who is expecting. But do you know what she’s not getting? My maternity jeans. I’ll be wearing those bad boys for quite awhile longer and I could care less. 12. Relax! Cut yourself some slack. No one is perfect and no one is a perfect mom. Do your best and that will be enough. 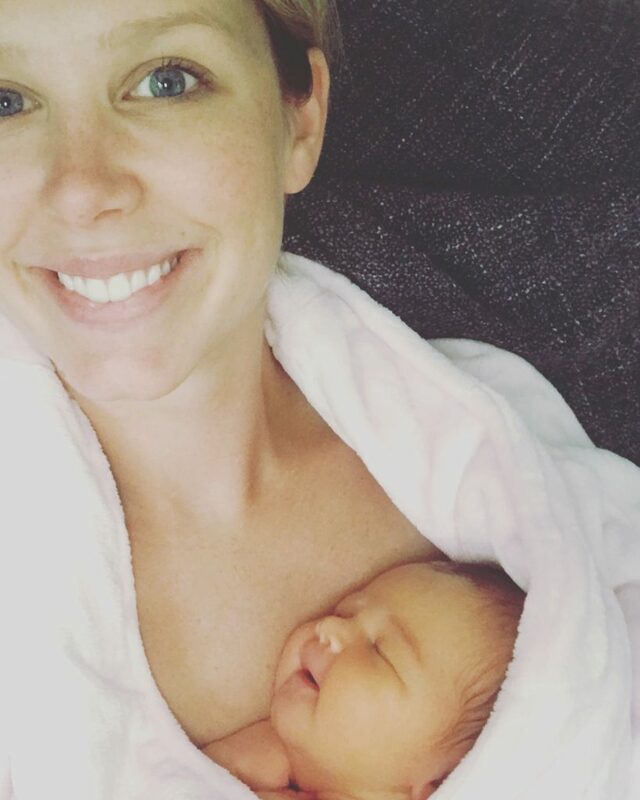 I know these new mom survival tips will help you out as much as they did me. Enjoy your new bundle and comment with any new mom survival tips that you’ve found useful! For friends/family of new mothers, find ways to help. When you stop by to meet the new one, help with the dishes or insist the new mom take a long shower or go nap while you hold baby. Offer to shop for their groceries or pick their other kids up from school. (My personal favorite) bring them dinner or get other friends together and set up a meal train. Honestly, help in any way you can. Having a newborn is all-consuming and exhausting. Even the littlest gestures can mean the world to a new mom.